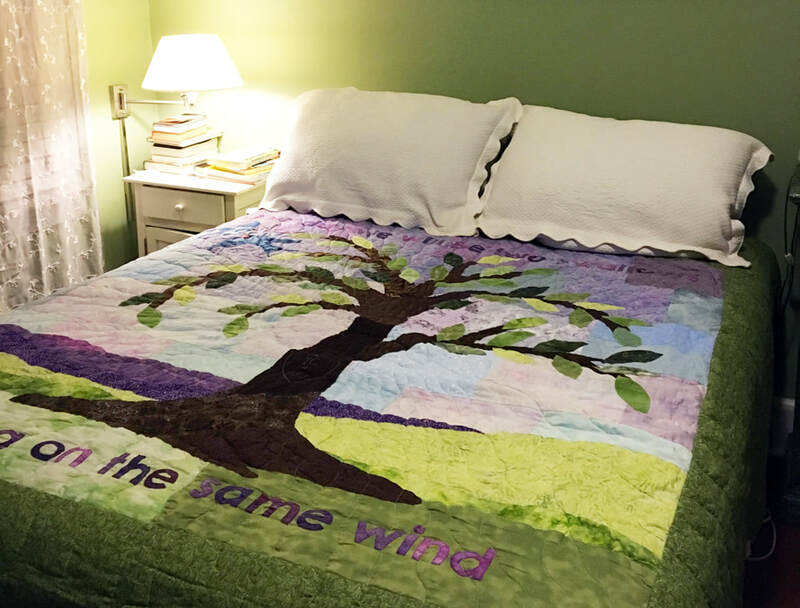 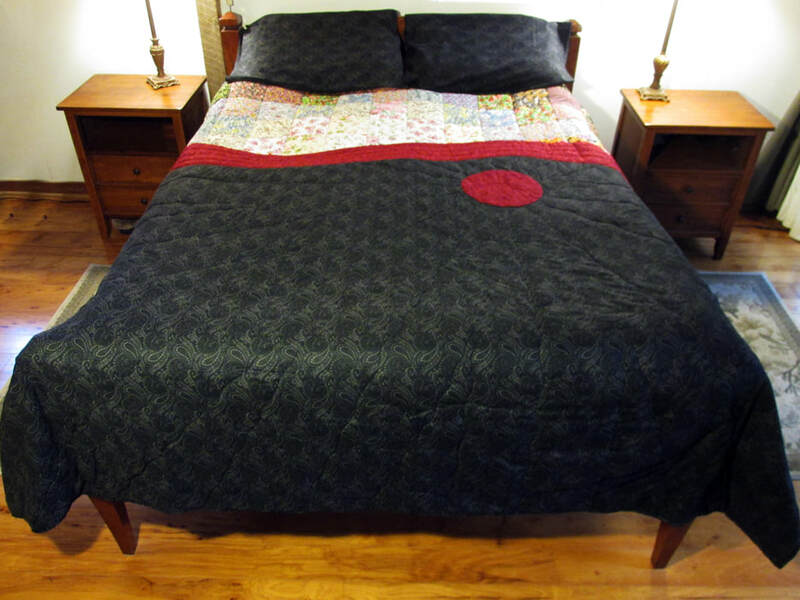 I love to make custom quilts! 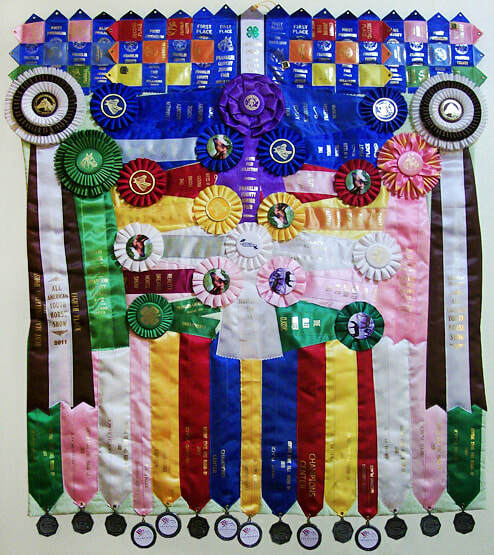 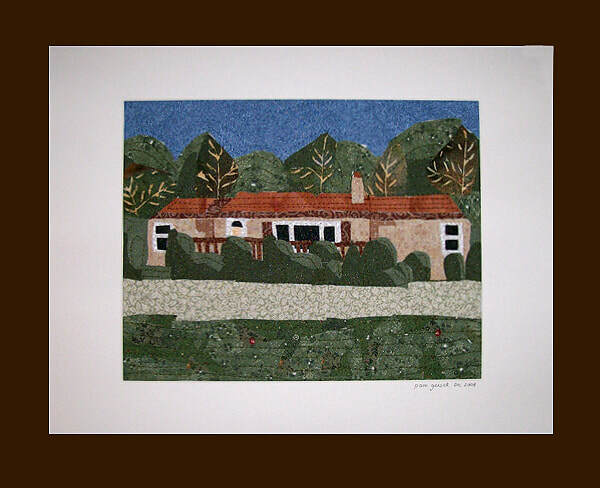 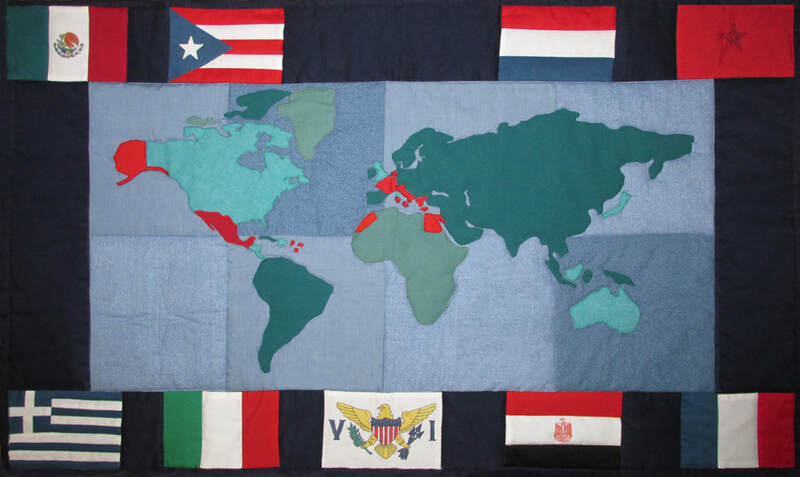 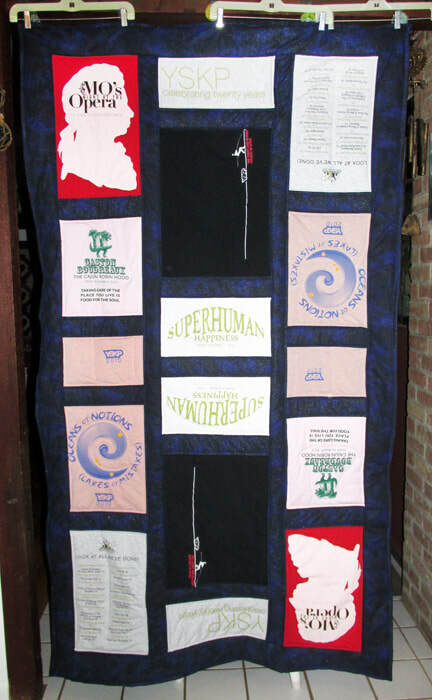 Do you have an idea or an image you want made into an Art Quilt? 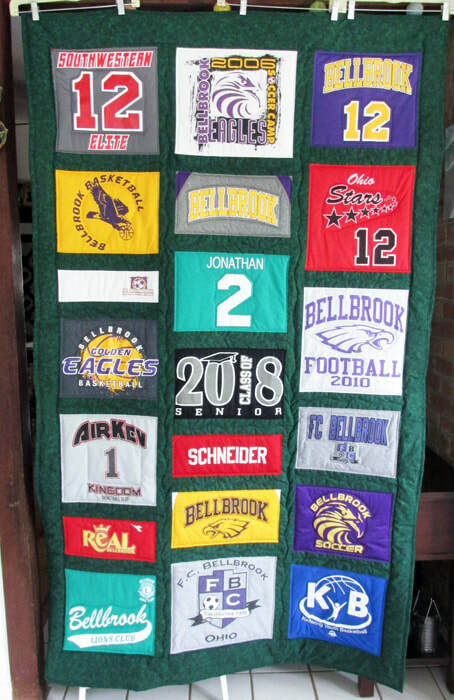 Contact me with sizes and colors for a quote. 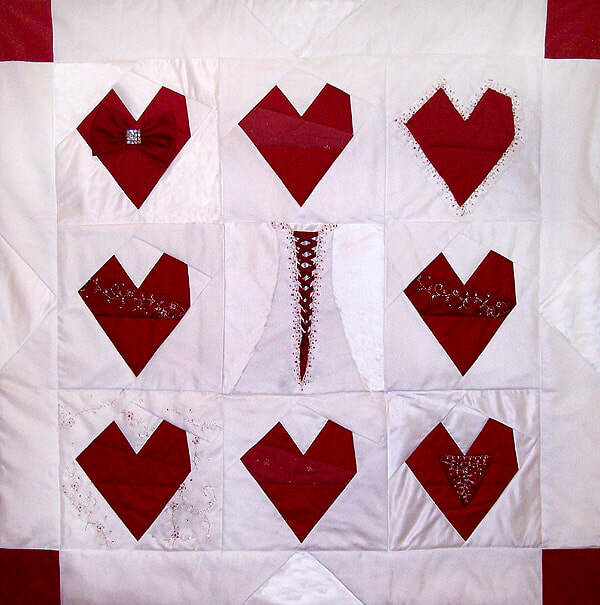 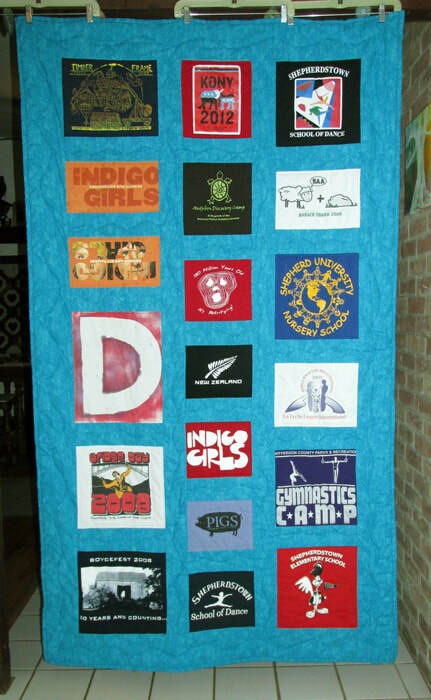 I've also made Memory Quilts using provided clothing and items. 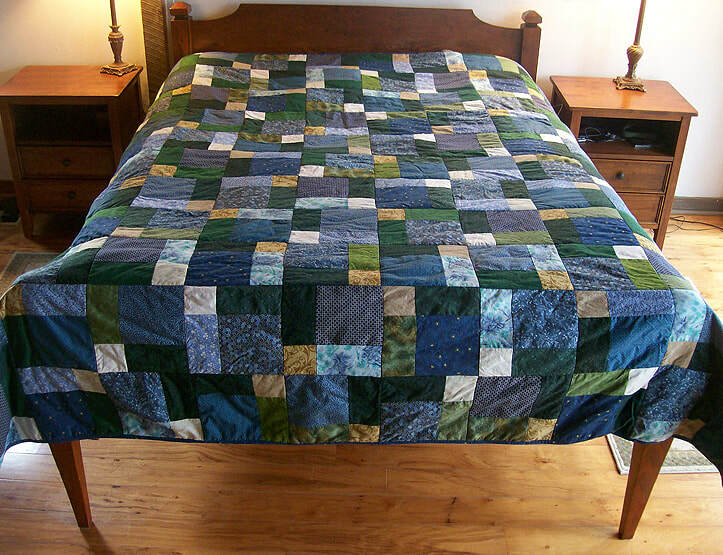 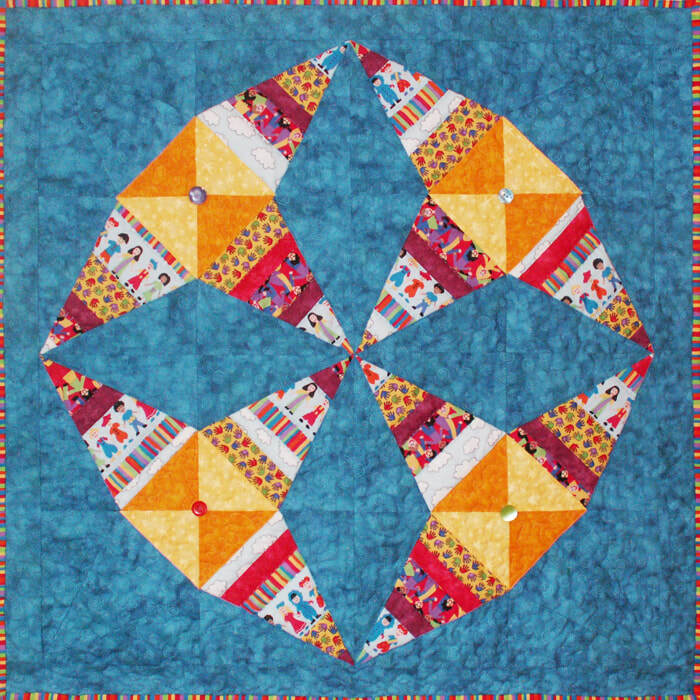 More info and photos about these quilts on my blog. 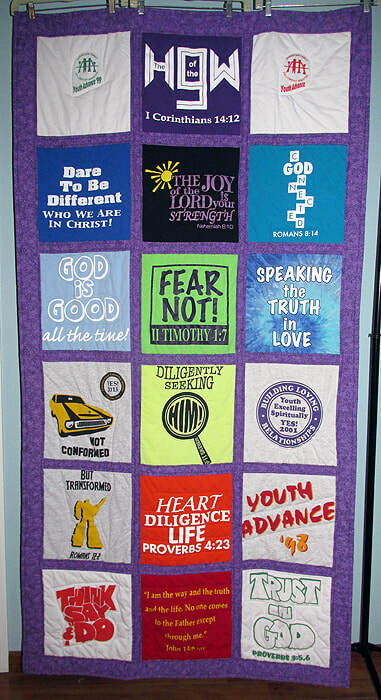 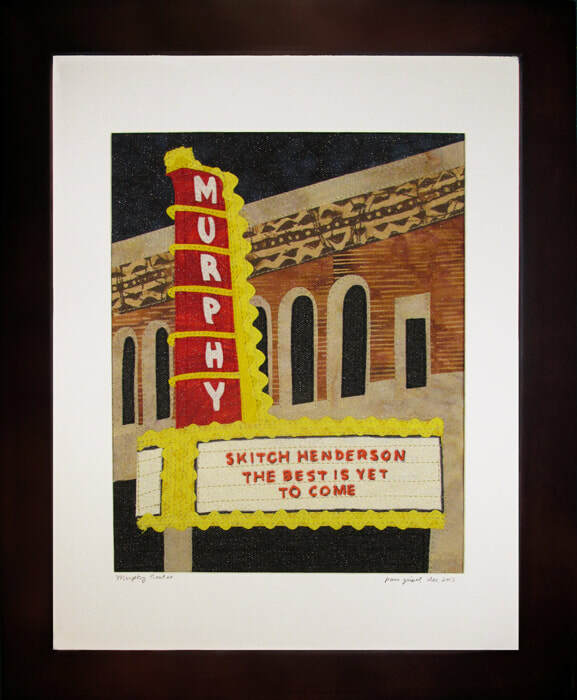 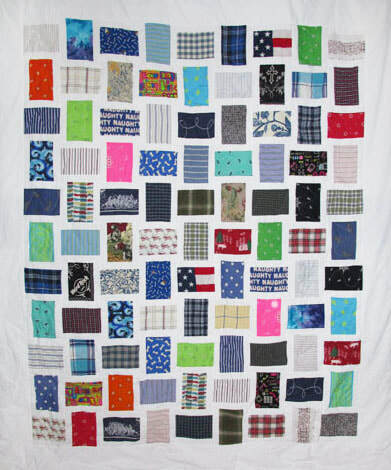 I have a special offer for T-shirt Quilts: $275 for 20 of your t-shirts in a throw size (44–48″ wide and 80–90” tall). 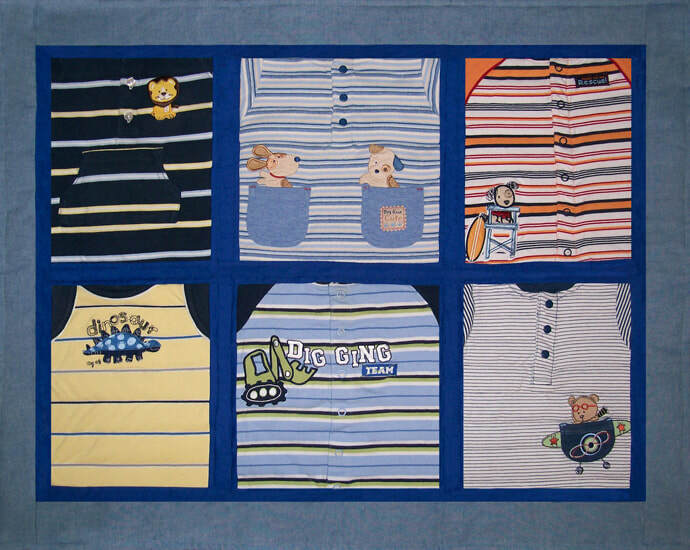 Have more than 20 shirts? 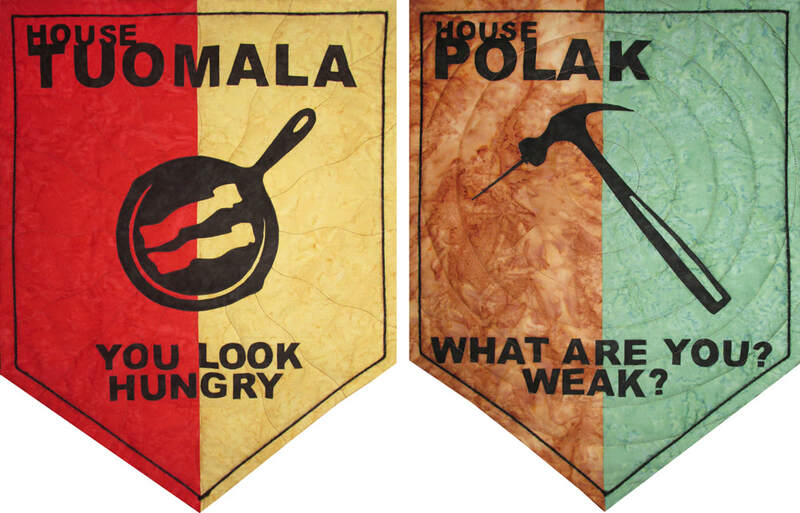 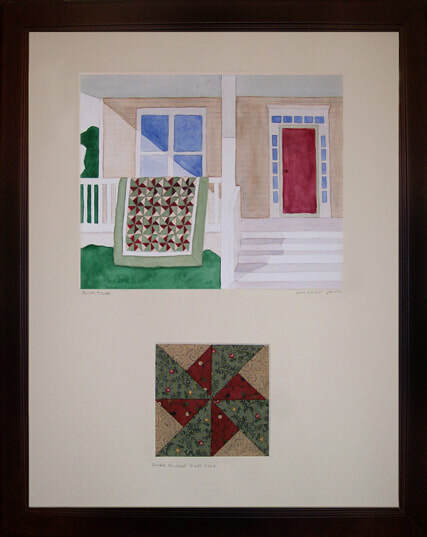 I can make it two sided for $425. 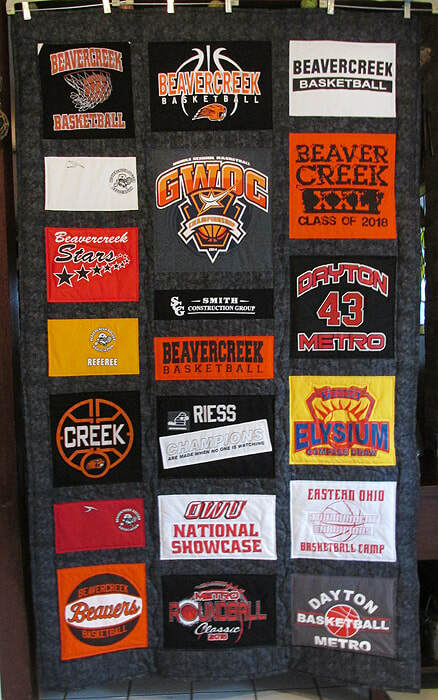 Contact me or go through Etsy (which has a few other quantity options). 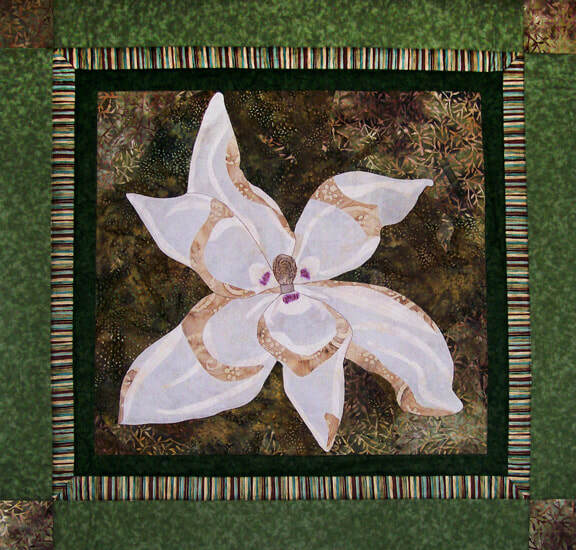 There are also more to look at on my Blog. 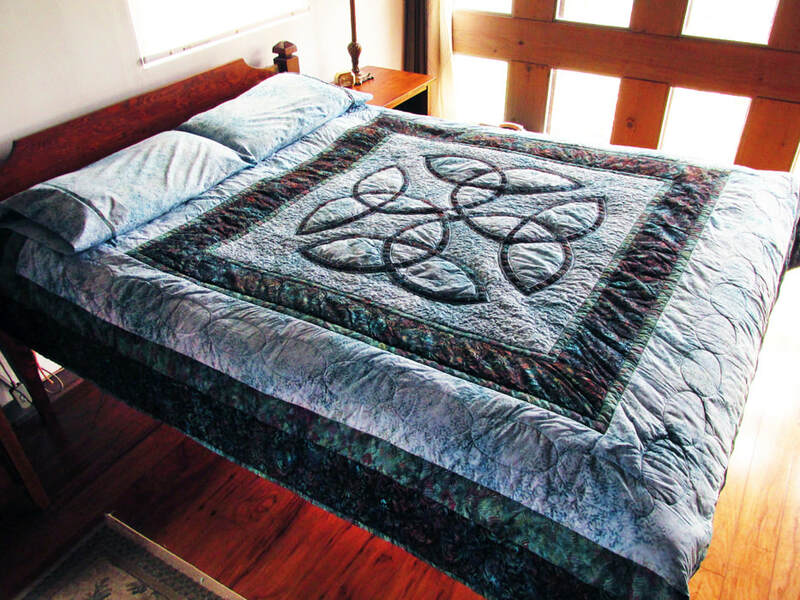 Bed Quilts will cost between $400-$800, depending on their complexity. 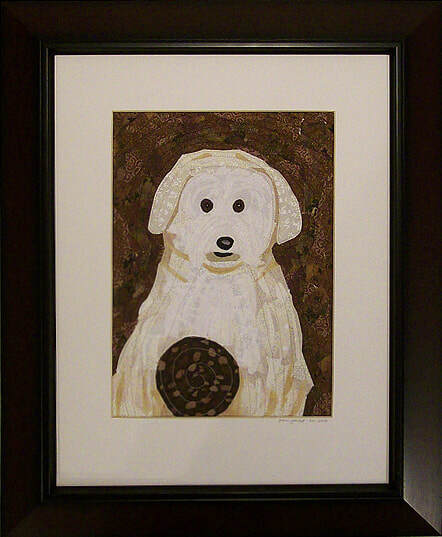 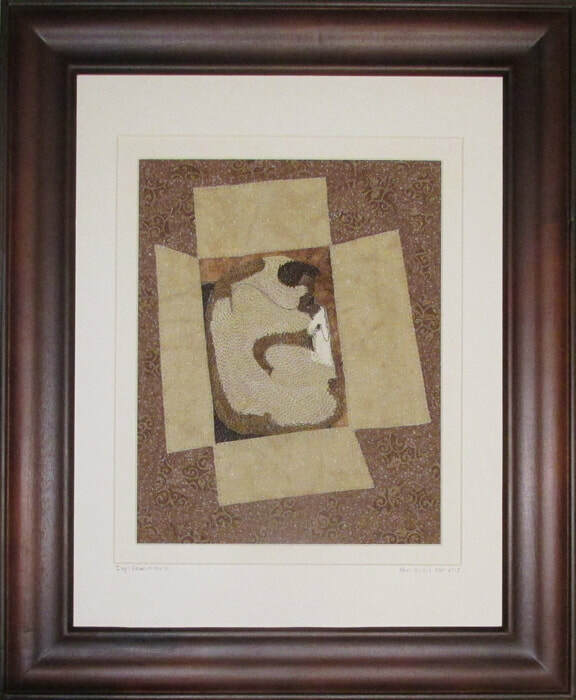 A good way to memorialize a loved pet or celebrate a move is with a Framed Fabric Mosaic, $75-$100 depending on size. 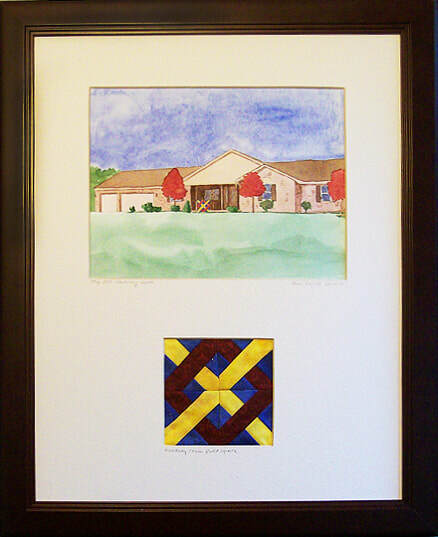 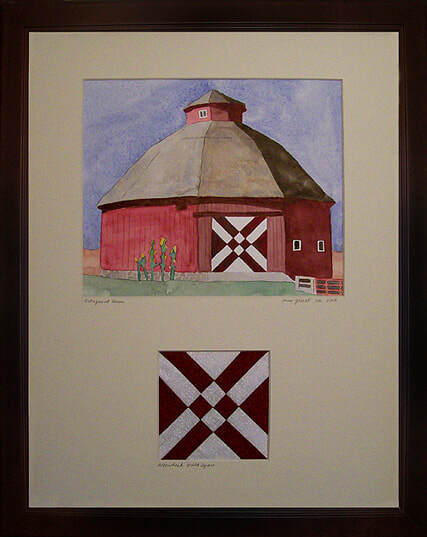 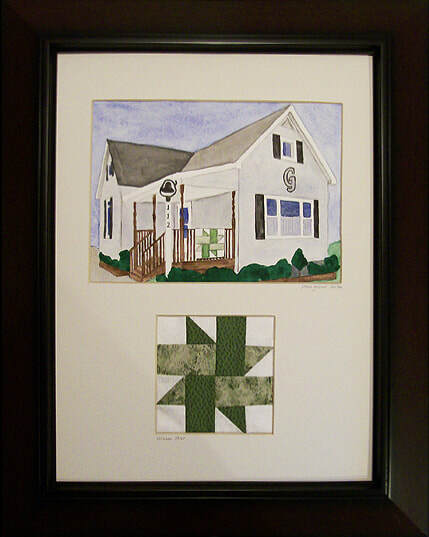 Another personalized gift are Framed Watercolor Paintings with Quilt Squares, $75-$100 depending on size.